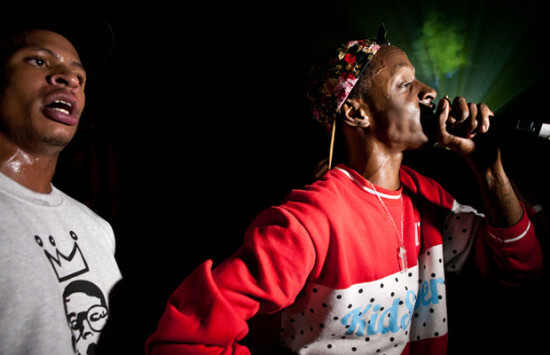 New favorite hip hop crew: the Underachievers. They are young but their sound is somewhat timeless. A little Golden Era, a little conscious school, some reduced modern effects. Very laid back, very lyrical, very simple but very compelling. I’ve been listening to their mixtape “Indigoism” several times and it’s become a good friend, like someone you know well but always hope to find out more about. The Underachievers are two kids in their early 20ies from Flatbush, Brooklyn and got signed on Flying Lotus’ label Brainfeeder. Their background is clearly Flatbush, Brooklyn and the Carribean communities there. Their lyrics often are about mind travelling and perception of things and one of them, Issa Gold, likes to anser philosophical questions like if evil really exists on his Tumblr. Here are the best interviews I found, one on complex.com and another one at MTV Hive. We’ll hear more of them, I am sure!